Need a crochet baby hat pattern for celebrating the 4th of July? This patriotic crochet hat pattern is perfect for a little baby boy. I suppose this will work for a baby girl as well, but I have something else in mind for a girl. So check back to see what I made. 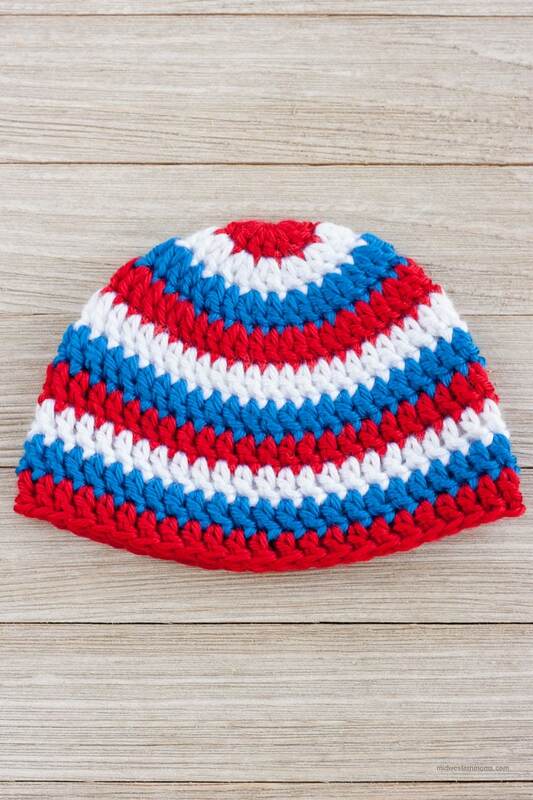 This is just a simple hat pattern that consists of double crochet stitches and alternating colors for the Red, White, and Blue theme. If you would like a printable hat measurements chart, put your email in the box below. 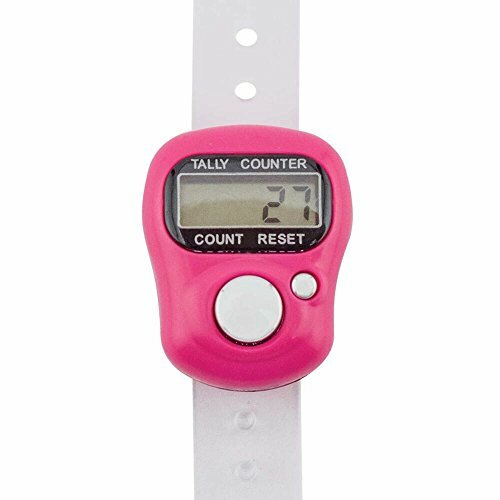 It will also help you modify the pattern to fit different sizes. It is very handy to have and to gauge your crocheting. Make sure you check your gauge for the sizing. See above for a printable chart. Round 1: (Red Yarn) Starting with the Magic Circle, Double Crochet 12 stitches. Join at the top of the first stitch. Pull the magic circle closed. Round 2: (White Yarn ) Chain 2. Double Crochet 2 stitches into each stitch around (24 stitches). Join at the top of the first stitch. Round 3: (Blue Yarn) Chain 2. *Double Crochet 1 stitch into the first stitch. Then 2 double crochets into the next. * Repeat from * to * for a total of 36 stitches. Join at the top of the first stitch. Round 4: (Red Yarn) Chain 2. * Double crochet 1 stitch into each of the first 2 stitches. Then double crochet 2 stitches into the next stitch. * Repeat from * to * for a total of 48 stitches. Join at the top of the first stitch. If you are wanting a printable version of this pattern, simply put your email in the box below and an email will be sent to you with a link to print the pattern. Don’t forget the measurement chart above!